The directors and administrative staff in our centers hold degrees in either psychology or early childhood education and are taking upgrade courses each year to keep them in tune with current trends in education techniques. We employ 4-year degreed teachers for both our kindergarten, as well as some of our preschool programs, so that they can be certified and run by the Department of Education’s standards. We require our staff to have FBI, State Police, and Department of Public Welfare clearances. They are certified in First Aid, Water Safety, and Fire Safety each year. 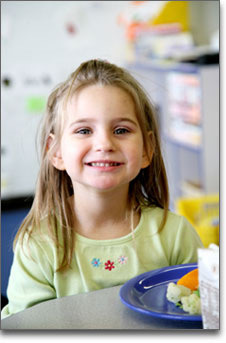 Each staff member attends a minimum of 6 hours of Early Childhood Education classes yearly. 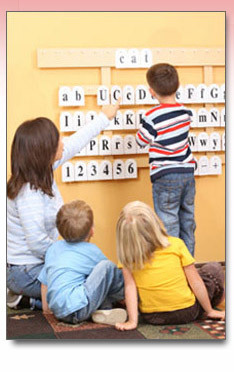 As family owned and operated child care centers, we strive to employ kind, loving, and patient teachers and aides. Most of our staff members have been with us for many years, providing a more consistent and stable environment for your child to learn and grow. Your child’s safety is our number one priority. Each of our centers is constantly being reviewed for potential safety issues, which are addressed immediately. Classrooms and toys are sanitized throughout the day. Each facility is vacuumed, cleaned, and sanitized daily. Our menus are posted monthly for your review. PDF files let you view and print files using Adobe Acrobat Reader. Click the "Get Acrobat Reader" button for a free download.